PENINSULA, Ohio (September 3, 2010) – After 15 years of organizing free nighttime bicycle rides, Century Cycles is charging $20 per person for an upcoming Night Ride on the Towpath Trail on Saturday, October 2. Charging for a Night Ride is not a new policy for the local bike store. Instead, it is to help a very worthy cause: All of the proceeds from this very special Night Ride are going to The Ronald McDonald House of Cleveland. The Century Cycles Night Ride to benefit the Ronald McDonald House on Saturday, October 2, at 7 p.m. is 13-mile moonlit bicycle ride on one of Northeast Ohio’s most popular bicycling paths. Enjoy a fun evening experiencing the nocturnal sights and sounds of the Towpath Trail while pedaling to help provide a home-away-from-home for families whose children are receiving medical care at area hospitals. The Night Ride will begin at 7:00 p.m. on Saturday, October 2, in the parking lot of the Century Cycles bicycle store in Peninsula (1621 Main Street), next to the Winking Lizard restaurant on Route 303. The event will include a pre-ride raffle and cycle-your-own smoothies, as well as snacks at the ride’s turnaround point. The first 300 registrants receive a free event t-shirt. Cost: $20 per person. To register online and for more information, go to www.centurycycles.com/goto/RMHNightRide. The Century Cycles Night Ride on the Towpath Trail to benefit The Ronald McDonald House of Cleveland is made possible thanks to the underwriting support of Century Cycles, Sigma Tau Theta International Honor Society of Nursing (Nu Delta Chapter), and Elyria Plastic Products. Now in their 15th year, Century Cycles Night Rides on the Towpath Trail are free group bicycle rides at night along one of the area’s most popular bike paths – the Towpath Trail in the Cuyahoga Valley National Park. They attract hundreds of bicyclists who enjoy it as a fun family outing, a unique date night, or a just a casual bicycle ride with friends by moonlight. Held from April through October, Century Cycles Night Rides are casual rides (not races) open to all skill levels and participants are encouraged to go at their own pace. The rides start in the parking lot of the Century Cycles store in Peninsula (1621 Main Street). Parking is available at the Lock 29 Trailhead and at its overflow lot to the north. Because Night Rides take place after the sun has gone down and there is no lighting on the Towpath Trail, a bike light is very necessary and mandatory. All participants must have their own bicycle and wear a bike helmet. Children 15 and younger must be accompanied by an adult. Never biked a Night Ride? Visit www.centurycycles.com/goto/nightrides to learn more about what to expect, to watch videos from recent rides, and to see photo archives. 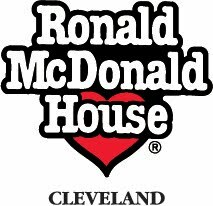 The Ronald McDonald House® of Cleveland, Inc. supports families whose children receive treatment at area medical centers by providing a home-like environment and essential resources and services. Families are stronger when they are together, and their presence helps a sick child heal faster and cope better. While we cannot make medicine taste better or take away painful treatments, we can help lessen the burden and ensure families have the stability and resources to get and keep their child healthy and happy. Since 1979, our House has been a home away from home for over 31,000 families who have needed to stay close to their hospitalized child. Founded in 1992, Century Cycles is an award-winning, locally-owned chain of independent bicycle stores in Medina, Peninsula, and Rocky River, providing high-quality bicycles and friendly, expert service to northeast Ohio bicyclists and their families. Century Cycles is an authorized dealer of Raleigh, Giant, Diamondback, Electra, Surly, Masi, Bianchi, and Haro bicycles, as well as Santana tandems. The Peninsula store also rents bicycles year-round for riding on the Towpath Trail in the Cuyahoga Valley National Park. For eight consecutive years, Century Cycles has been voted one of the top 100 bicycle retailers in the United States by Bicycle Retailer & Industry News magazine. Century Cycles has been awarded Bike Shop of the Year, a national award bestowed by members of the League of American Bicyclists.